Below are some of the features of the HowDidWeDo? feedback system. Let your customers answer questions with a single tap, or provide more insight with comments and photographs. 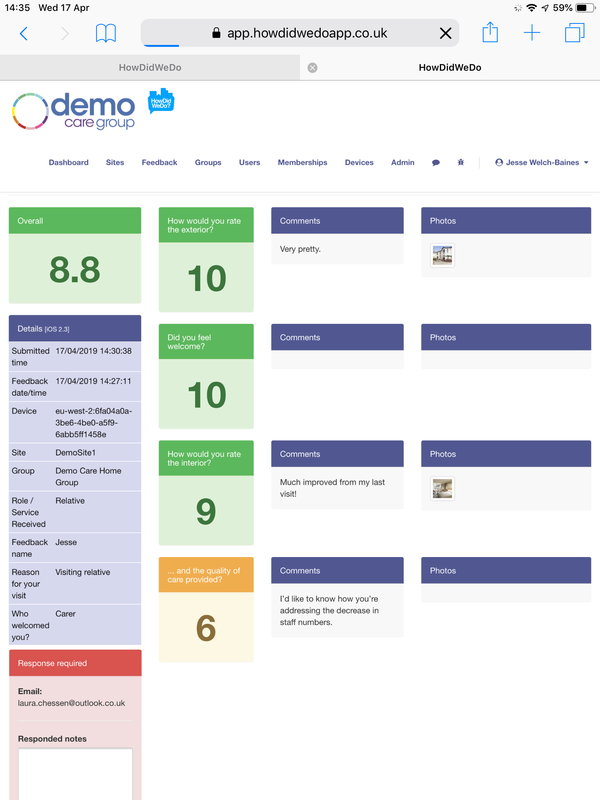 Capture feedback on the things that matter the most with completely customisable feedback forms. Keep customers engaged with your own logos and branding. Live feedback is made immediately available on the HowDidWeDo? 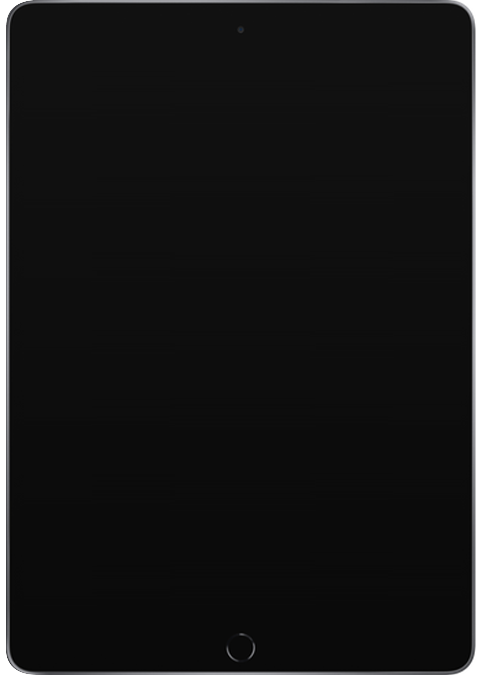 dashboard and customised email alerts keep you up to date whilst out and about. 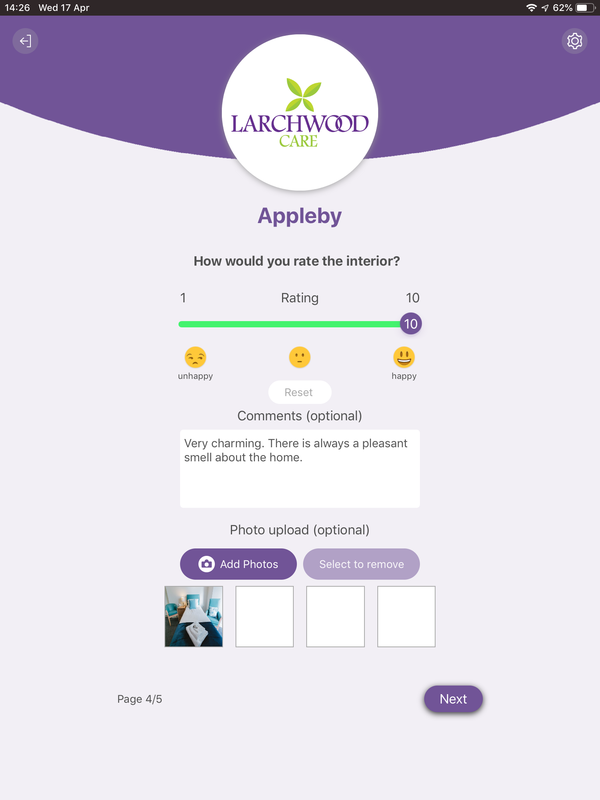 Get feedback from your customers whilst they're on site, on the move, or at home. 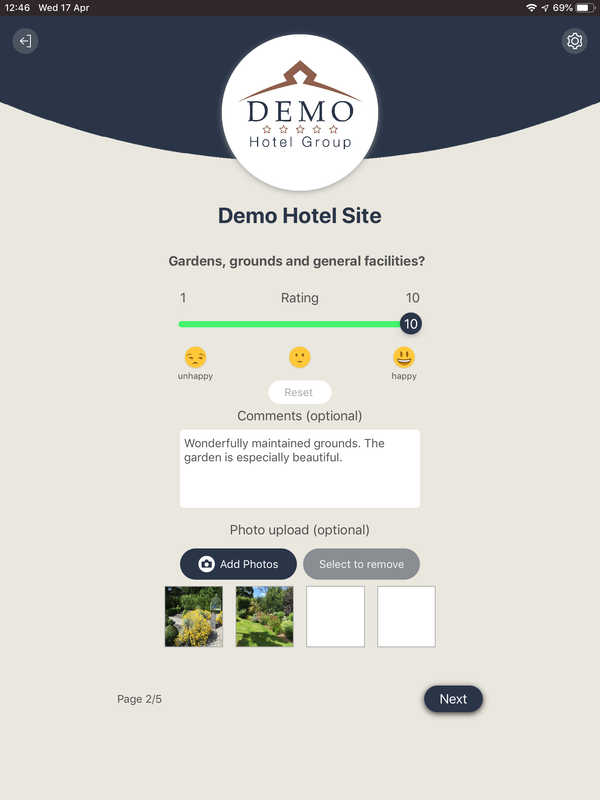 Dedicated feedback tablets, the free to download app, and your dedicated feedback webpage make it easy for your customers to keep you informed. Turn negative feedback into positive results.